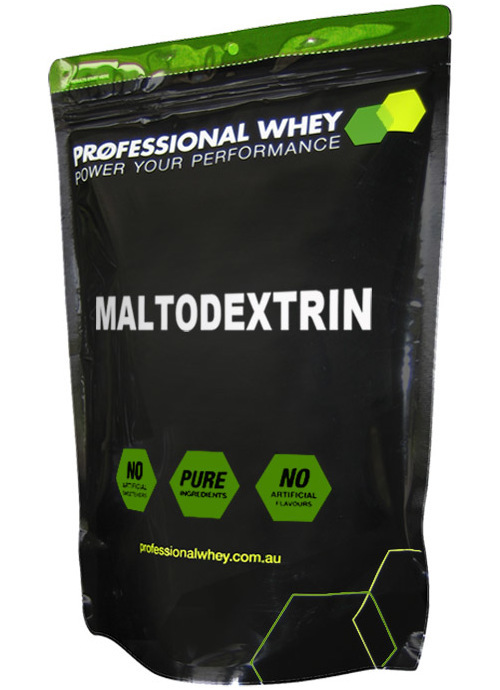 Maltodextrin is made by controlled hydrolysis of corn starch which consists of four sacharides; dextrose, maltose, maltotriose and higher polysaccharides. However its chain is very weak and breaks down much quicker than other complex carbs. Therefore it is a fast acting source of energy. However due to the sacharide make up Maltodextrin they are digested a little slower than dextrose, therefore it is beneficial when carbohydrates are needed for long and steady durations when your performance will be challenged i.e during your workout or for when you want to raise insulin levels and shuttle in nutrients into your muscle cells. N.B For a synergistic recovery effect combine Maltodextrin with Dextrose in a 50/50 ratio with a fast acting protein. Available in 2kg packs and bulk buy discounts. Mix 45g (one level scoop) of Maltodextrin into 500ml of water. Best consumed during or after sustained strenuous exercise, to assist with energy, recovery and glycogen replenishment. I take this with dextrose monohydrate as a post-workout drink. It helps with sugar cravings as well as picking you up after a heavy exercise session. Like the dextrose (and pretty much everything else on this site, to be honest) it's really great value for money. This product mixes well with any whey protein, has little taste though I believe it does enhance the flavoured proteins such as vanilla and mint cacao. I won't have a shake without a serving of maltodextrin! Oh and the price and delivery out performs anything else on the market. Good, pure product. Great value. Excellent service and fast delivery as always from ProfWhey. Note that unlike Dextrose, it does not have a sweet flavour - in fact it doesn't really taste of anything. If you are particularly wanting some sweet for flavouring purposes, better to go with the Dextrose. Used to make my own 'recovery' mix and it has been great. Knowing there are no artificial additives is even better. Only place I'll purchase my product from now on. 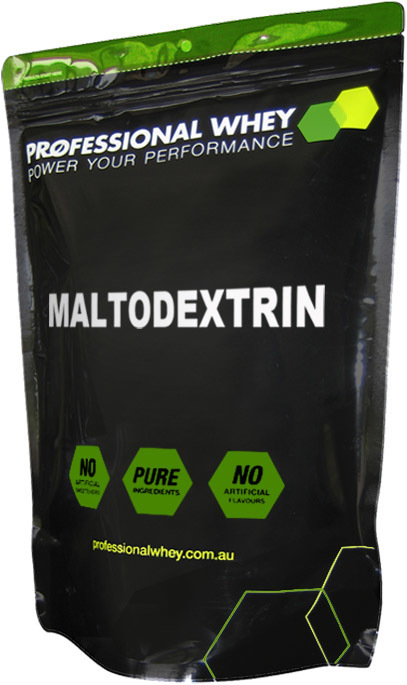 I bought Maltodextrin to add to my 3 part protein mix for after my workouts. I have noticed that my recovery has been incredibly fast and I am very happy with continuing my use of this product.